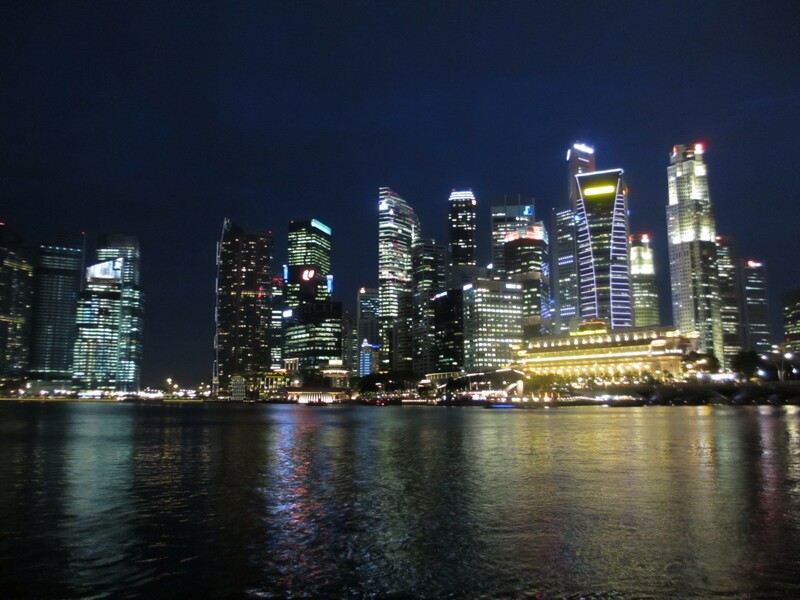 Vibrant, exciting and oh so big and shiny, Singapore is easily among the most impressive cities in the world. But it can also be one of the most expensive. It’s little wonder that the city-state ranks in the top ten most expensive cities in the world according to most cost-of-living surveys. One only needs to look at the sprawling city skyline or visit one of the labyrinthine underground shopping malls to see that it can be a terribly expensive town. But don’t be put off. It may not be as backpacker-friendly as its cheaper Southeast Asian neighbours but you don’t have to break the bank to have a good time in Singapore. 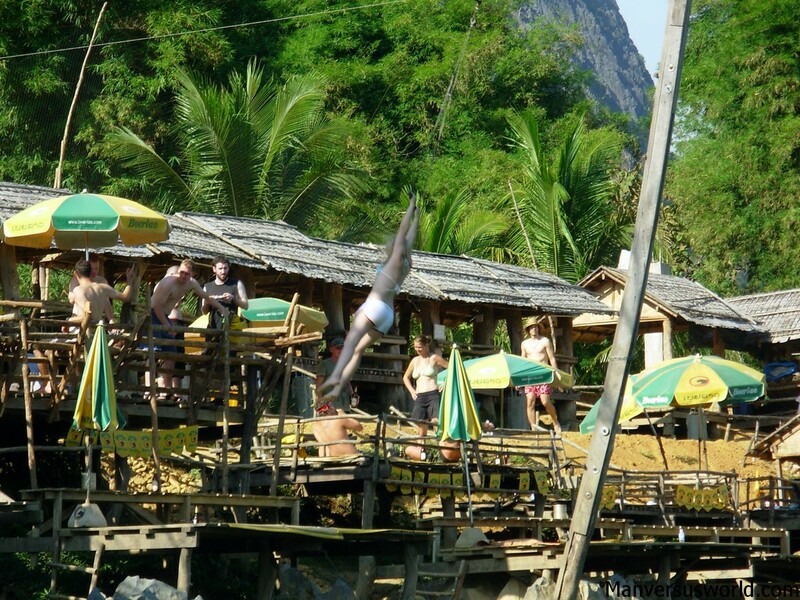 Here’s a few budget travel tips to help make the most of your stay. In Singapore the challenge is not so much finding a cheap place to eat as deciding on what kind of cuisine you’d like. 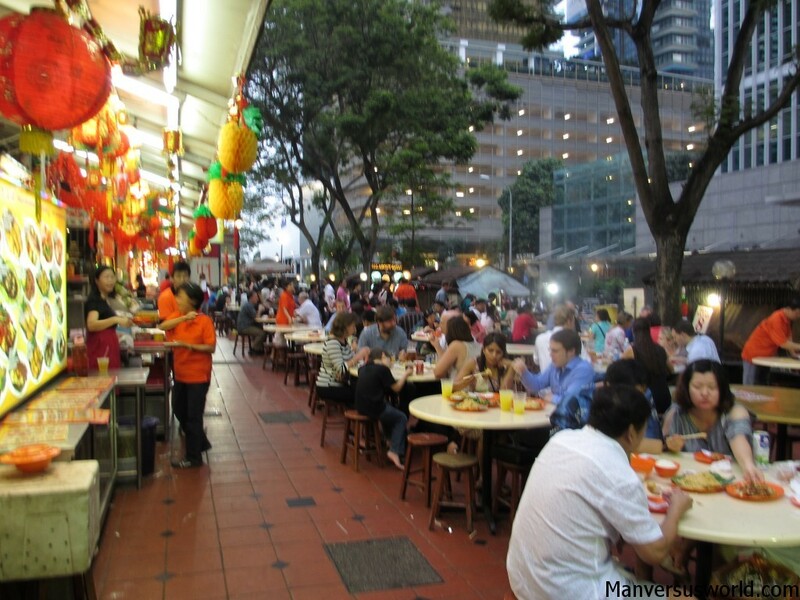 Hawker centres offer a huge range of ethnic food at a cheap price. These often-huge food markets are all over the city and may be fairly intimidating for the first timer but they do offer a wide range of ethnic cuisine at an incredibly cheap price. I recommend the hawker centre at Lau Pa Sat for the best satay in town. Meanwhile, Little India is the place to go for cheap Indian food. A couple of vegetarian curries with naan should set you back no more than $3 at a road-side restaurant. Singapore is among the easiest cities to navigate by subway. For travel on a budget you really can’t do better than the city’s MRT (Mass Rapid Transport) system, which is incredibly easy to use. One-way tickets are the way to go, with fares very rarely ever costing more than $3 – including a $1 deposit which you can get back from a ticketing machine upon arrival. For the best views of the city’s magnificent skyline, I’d recommend getting out and about on the harbour. The delightfully-named bumboats are popular with tourists but I’d recommend catching a much cheaper water taxi from Clarke Quay to the Esplanade, which takes about 20 minutes and takes in the city skyline. 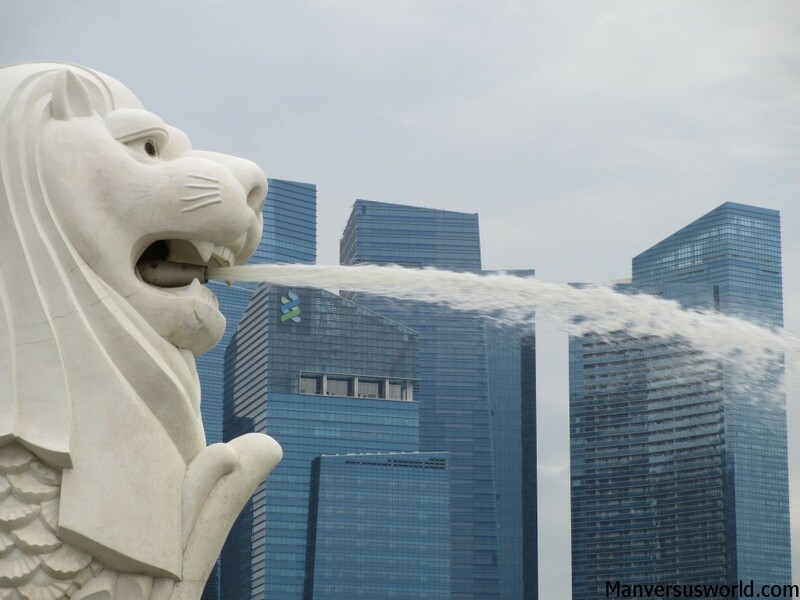 Speaking of the Esplanade and the Singapore skyline – budget travellers can enjoy either of these at no cost at all. The Esplanade is home to the Esplanade – Theatres on the Bay, a massive performing arts centre with a concert hall and outdoor theatre stage. It’s at this outdoor stage where the budget traveller can enjoy free music most nights of the week – live rock bands, classical music recitals and everything in-between – while overlooking the impressive Marina Bay Sands and the Singapore city skyline. Meanwhile, walking along the Singapore waterfront doesn’t cost a thing either – plus it affords the best view of the Singapore city skyline. Take in the views at night time or during the day but make sure you budget an extra $1.50 or so to buy yourself an ice-cream sandwich from one of the many riverside vendors on bicycles. 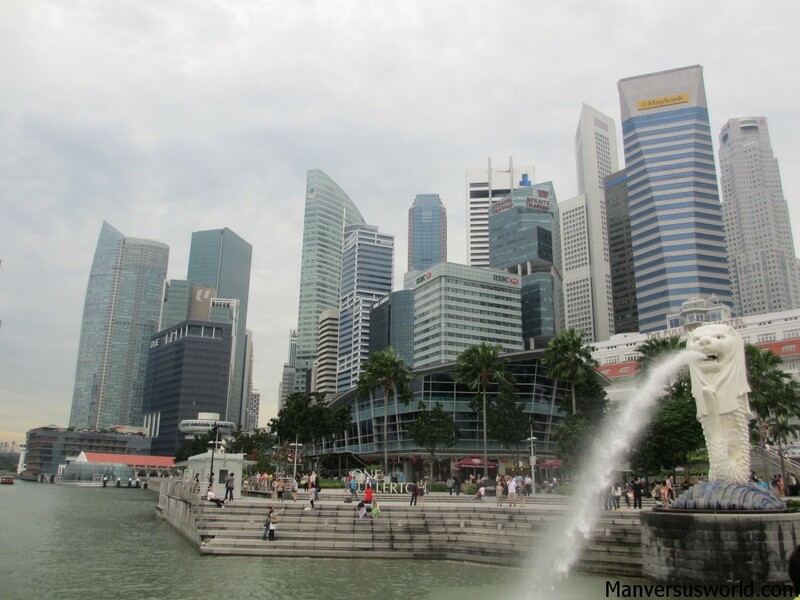 The park is situated along the city waterfront, which makes it a good rest stop on a walk around the harbour or a good point from which to view the Marina Bay Sands – the ostentatious hotel, casino and shopping complex opposite. 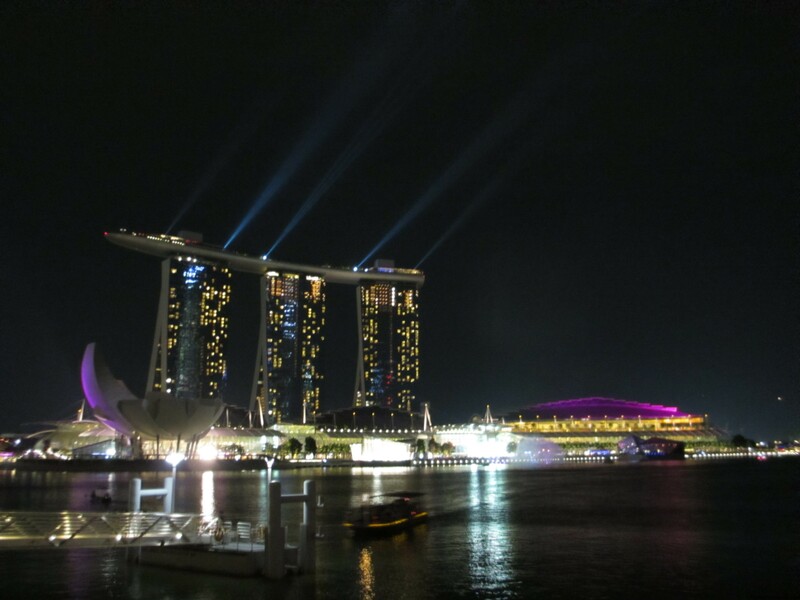 Now, the Marina Bay Sands is hardly synonymous with budget tourism but every night of the week the five-star hotel puts on a stunning water and lights show. Running for approximately 15 minutes, the show encompasses laser lights, orchestral music and giant streaming water screens – managing the impossible feat of distracting anyone from the Singapore skyline opposite. You can see the Marina Bay Sands light show at 8pm and 9:30pm from Sunday to Thursday and 8pm, 9:30pm and 11pm on Friday and Saturday. My final tip for exploring Singapore on a budget could save you a stint in a Singaporean jail as well as a bundle. Do NOT litter, jay-walk, chew gum, eat on public transport or get involved in drugs at all. Seriously, Singapore is well-known for strictly enforcing its laws. But look on the bright side – at least you’re unlikely to get gum on your shoe. We’ll be there in about a month, thanks for the tips, we’ll put them to use. No worries – have an amazing time! Good time of year to be going – the weather should be warming up a bit now. Another great post. 🙂 Love reading it.